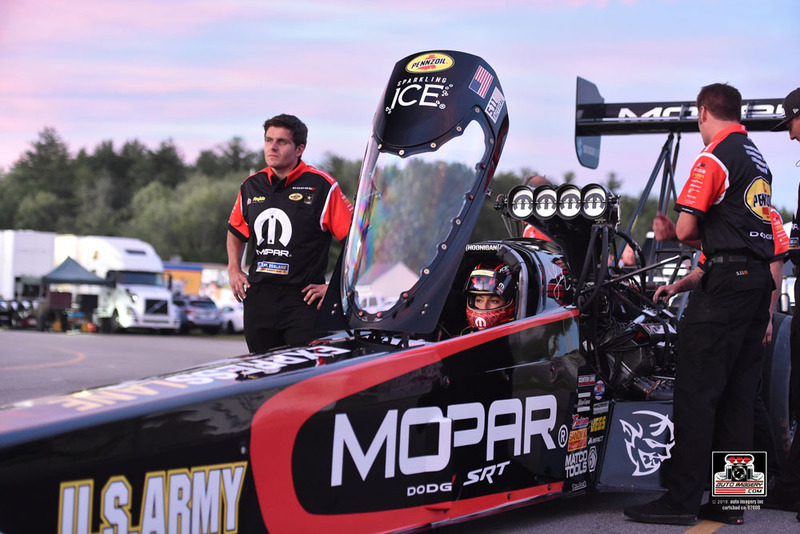 Epping, N.H. (July 7, 2018) – Top Fuel driver Leah Pritchett and Funny Car racer Matt Hagan finished off an impressive two days of qualifying at the NHRA New England Nationals by maintaining their hold on the top starting spots heading into elimination rounds on Sunday. Pritchett zoomed to her second pole of the season in her Mopar Dodge Top Fuel machine before a sellout crowd, earning her second consecutive No. 1 qualifier at New England Dragway and ninth overall of her career. The No. 1 qualifier spot in Funny Car was the third of the season for Sandvik Coromant Dodge Charger R/T Funny Car driver Hagan, his first at New England Dragway and the 33rd of his career. Pritchett carried her Top Fuel dragster to the No. 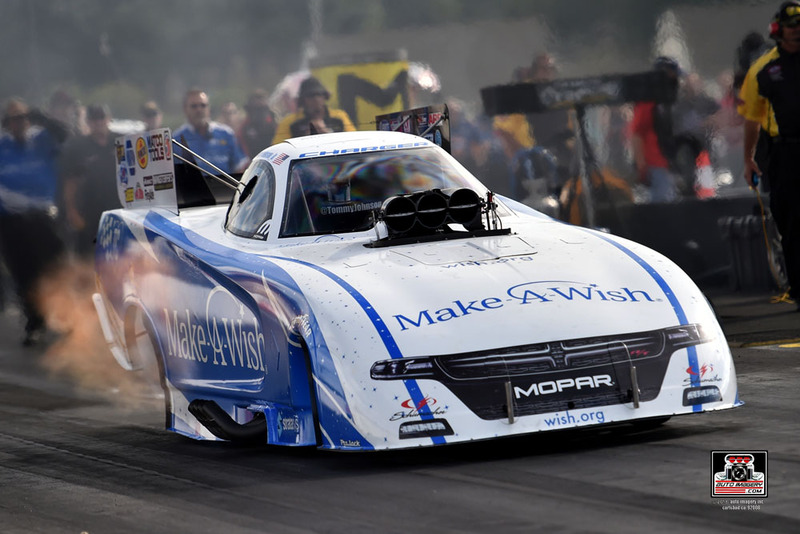 1 position in the second qualifying session on Friday night, using Mopar-power to uncork a 3.742-second at 324.51-mph pass that jumped her from sixth up to the top spot. 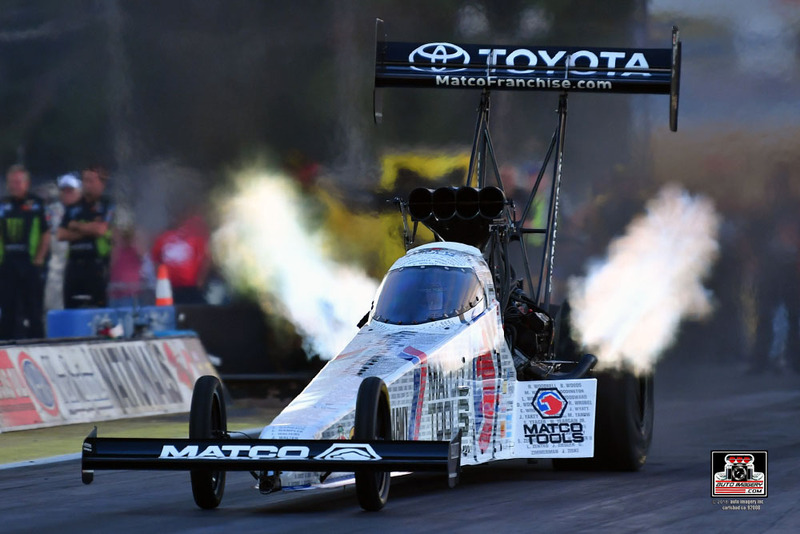 The Friday evening run also earned the six-time Top Fuel event winner three bonus points, and Pritchett added a total of three more on Saturday when she was second quickest in her third qualifying attempt and third quickest in Q4. Gunning for her second win of the season, Pritchett will open eliminations on Sunday against Audrey Worm. “I think the key to the momentum for anybody that’s playing for Sunday is to diversify their portfolio,” said Pritchett when asked how she was going to convert her qualifying success into a long race day. “The last time we were successful at that was in Atlanta when we won. We tested on Q3 and then we practiced during Q4, and we got the results we wanted for tomorrow. The momentum is there, and I have all the faith and confidence in this team. They never give up, they’re always persevering and our hard work is paying off. I’m really proud. 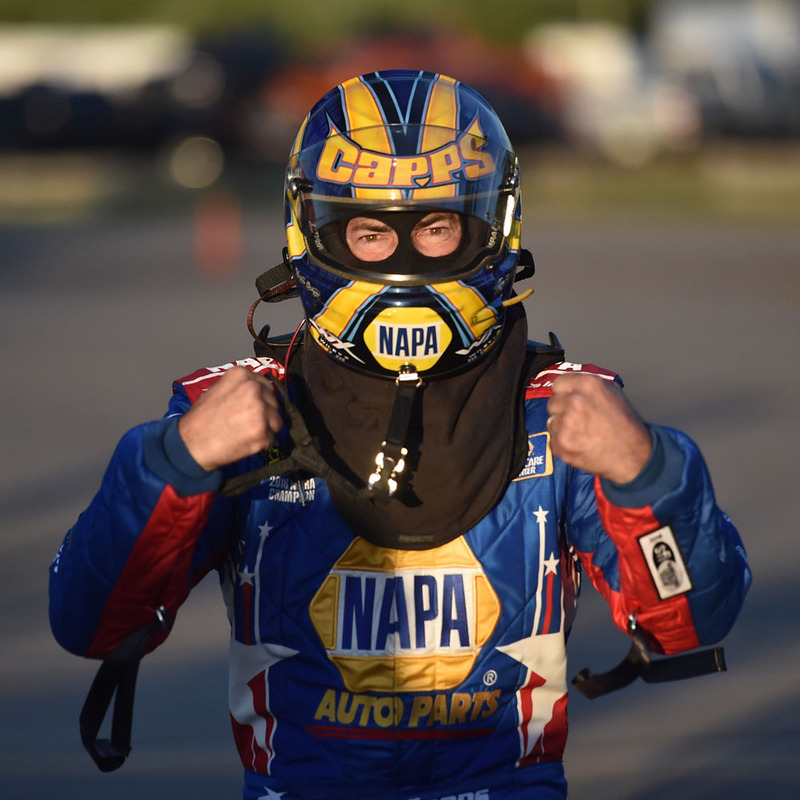 Carrying momentum from his victory at the most recent NHRA event in Ohio two weeks ago, Hagan earned two bonus points and was No. 2 after his first qualifying attempt. 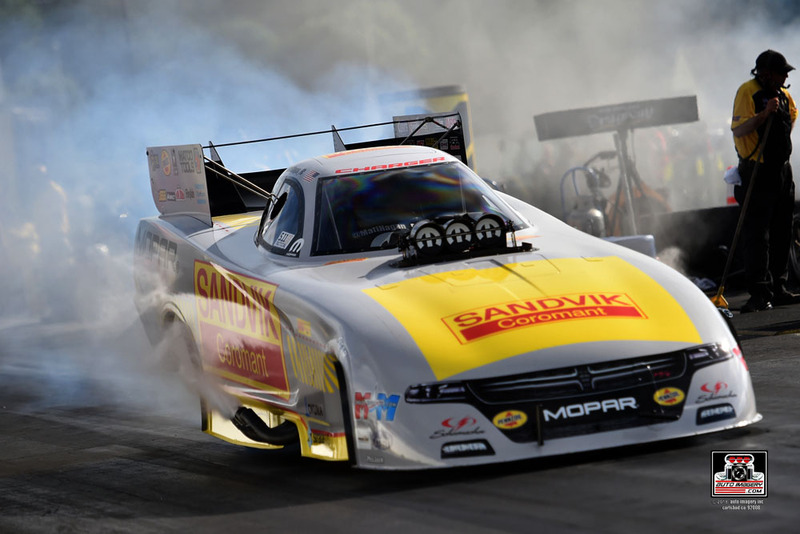 The defending Epping event winner added three more points and moved his Sandvik Coromant Dodge Funny car up to No. 1 with a 3.932-second at 320.20-mph pass that held up through Saturday’s two final qualifying rounds. Hagan was once again quickest on the charts in Q4, upping his qualifying bonus point total to eight. 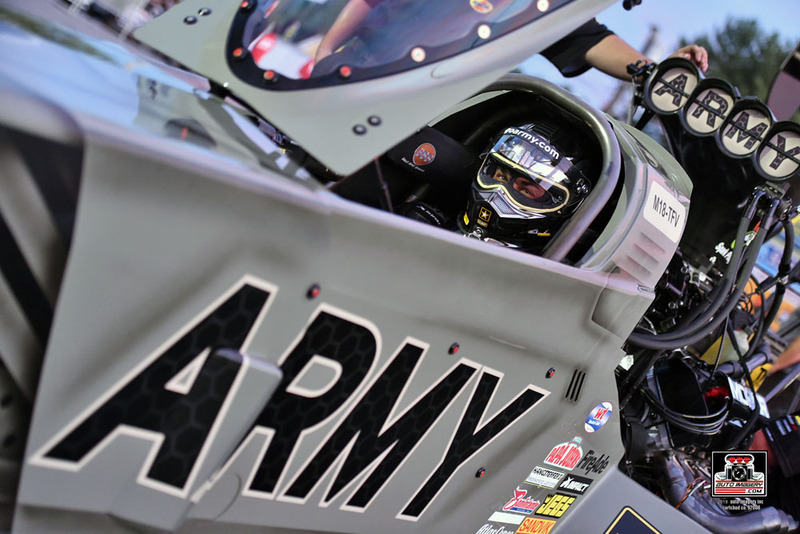 “We’ve got a great race car right now,” said the two-time Funny Car world champion. “It’s going down the race track every lap, it’s running on eight cylinders. (Crew chief) Dickie (Venables) has a really good handle on the tune-up right now and that builds confidence. That confidence carries over to me as a driver, just being able to focus on the lights up there and not thinking about whether the car is going to go down the track or not, or whether I’m going to have to pedal or do whatever I have to do. 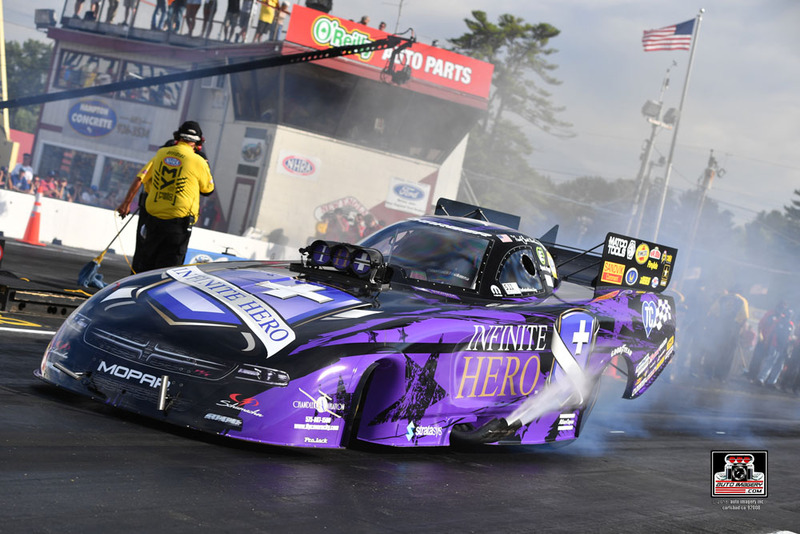 Hagan sits second in the Funny Car standings and will match up first with Terry Haddock as he seeks his second consecutive win of 2018 and his second straight at Epping.